Pain affects our quality of life, making it harder to concentrate, sleep, and enjoy time spent with friends and family. Those living with chronic pain often reach for prescription medications such as Vicodin or Oxycontin. But long term use of these drugs can lead to nasty side effects, and sometimes, even death. Pain is the body’s way of telling you something is not right. It is a symptom of a problem, not the problem in and of itself (though it certainly feels like a problem). Pain can be acute, appearing suddenly, or chronic, building over time. It can range from mild and intermittent to severe and persistent. The National Institute of Neurological Disorders and Stroke (NINDS) states that, if left untreated, acute pain can lead to chronic pain. According to Drs. Angela Koestler and Ann Myers, authors of “Understanding Chronic Pain,” chronic pain disables more people than cancer or heart disease. But here is what the big pharma companies don’t want you to know: there are many natural alternative treatments that can affectively treat chronic pain, and without the risk of side effects associated with prescription medications. According to the Mayo Clinic, dehydration has the potential to aggravate symptoms of certain chronic conditions such as headaches and back pain. While it may be tempting to drink coffee, soda and juice every day, these beverages act as diuretics, forcing your body to expel water. To stay hydrated and keep that chronic pain at bay, best to drink water and plenty of it. While it’s anyone’s guess how much water each person needs to drink a day, a good rule of thumb is, if you feel thirsty, you’re already dehydrated. When you first get up in the morning, it’s a great idea to drink a tall glass of filtered water to hydrate after a long night. Yoga and meditation have been found to reduce stress and relieve muscle spasms that contribute to pain. The Mayo Clinic has reported that the centuries-old practice of yoga not only strengthens the body and promotes flexibility, it also has an ability to calm the mind and decrease the effects of stress. Meditation centers around focusing one’s thoughts on the breath. This promotes a sense of well-being and also causes a shift in thinking about pain to thinking about something else. Your mother was right when she told you to sit or stand up straight. But how many of us really listened? The truth is, most of us have become a victim of what is called the C-slump. This is when we sit or stand with a rounded back with our head in front of our spine instead of directly on top. According to the Journal of Neuroscience, it is this C-slump that can impair nerves and blood flow, causing and exacerbating pain throughout the body. Whether you’re walking, sitting at your computer, or driving in your car, it is important to become aware of your posture and work at correcting it. Straighten your spine and be sure your head is balanced nice and easy. You may be surprised how poor posture has been causing your chronic back, neck and shoulder pain all along. While physical therapy may be one way to correct what is causing you pain, psychotherapy has been found beneficial in reducing pain as well. The American Psychological Association has reported that methods such as cognitive behavioral therapy, biofeedback, and guided imagery can teach a patient stress management and real-life coping skills. While psychotherapy alone may not be enough to completely eliminate your pain, it can improve your quality of life by helping you reduce stress and get better sleep. Eat the Right Foods – There are certain foods that have proven to help your body fight inflammation. Eating more leafy greens and animal proteins rich in omega-3 fatty acids (think salmon, tuna and sardines) can naturally alleviate the pain caused by inflammation. This brightly-colored spice is known for its anti-inflammatory properties and has been used successfully to treat chronic pain. Turmeric contains curcumin, which provides a natural mechanism to reduce inflammation in the body, and, unlike prescription drugs, it does so without harming the liver or kidneys. You can easily add turmeric to your meals for extra flavor or sprinkle it in your tea. Of course, we can’t talk about fighting inflammation without talking about gut health. You see, the health of your gut determines the amount of inflammation in your body. And, besides the foods you eat, there are other life and environmental factors that can determine whether your gut is healthy or not. The bottom line is, if your gut isn’t healthy, your body will be wracked with pain and inflammation. 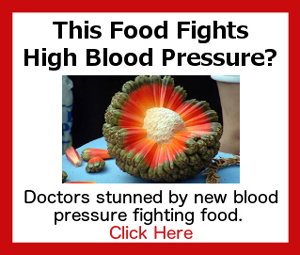 Now, I could tell you how to heal your gut and stop inflammation in its tracks, or I could let you get that information from a doctor who used this method to heal his own gut and get rid of his arthritis pain once and for all. 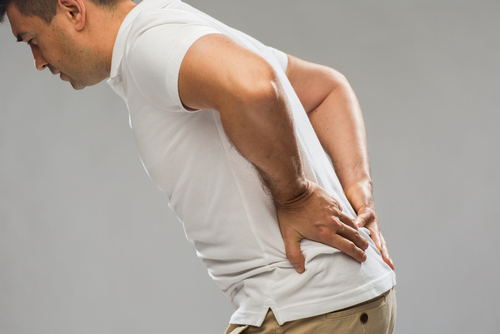 Learn about the Joint Pain Solution here.